Red's CSA for CFS Families + Staff! Enjoy 8 weeks of seasonal veggies, herbs, and flowers grown right through the woods from Red's Quality Acre! Red's is proudly founded by CFS Alum Dave Henderson '05, Caitlin Law, and CFS retired teacher Norm Budnitz. Join Red's CFS//CSA and eat veggies grown 1-mile from campus...doesn't get more local than that!! With Red's new CFS//CSA you'll be able to conveniently grab your CSA share every-other- Monday on campus*! This year we are offering one 8-week share with an every-other-week pick-up schedule… if this is too much feel free to split with another family or staff member! Same Veggies — Different Schedule! Our CFS//CSA shares will include Red's same variety packed seasonal vegetables and herbs (all grown with Certified Naturally Grown practices), a weekly newsletter, Red's tote bag, and invites to Red's farm events. All share options include $22 worth of produce or about 6-8 items. Unlike our other CSA memberships, the CFS//CSA is geared toward the busy CFS staff and family's schedule. We are building our pick-up schedule around the CFS calendar*. That means NO pick-up on holidays, busy school event days, or summer break! Enjoy this hassle free CSA built right into your established school routine! Your veggies will be ready for pick-up Monday afternoons right on campus! *PLEASE NOTE* This season we are asking CFS share members to pick-up ONLY at CFS. 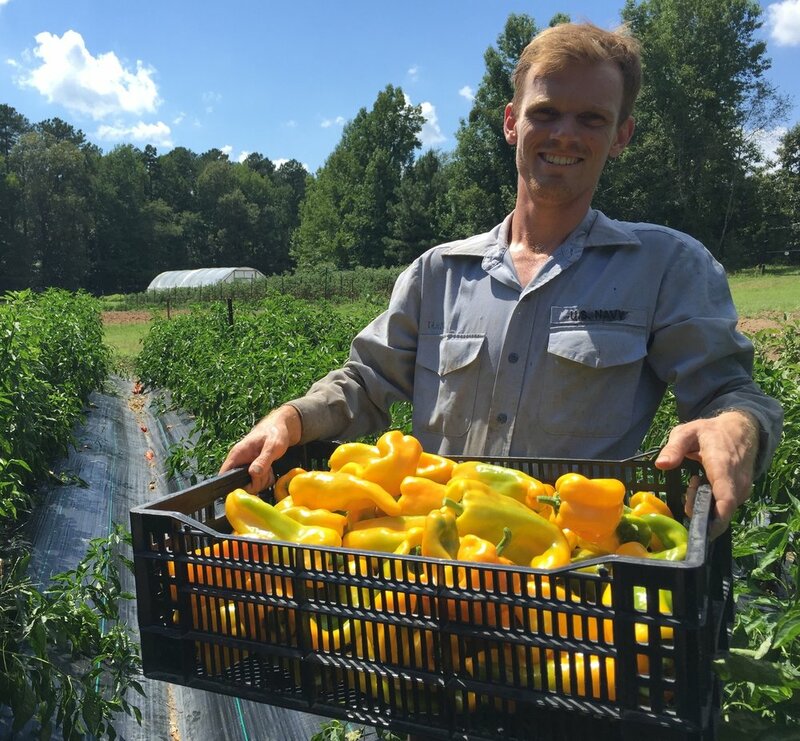 If you are interested in getting more veggies in the summer you be better suited for our standard HALF SHARE that picks-up at our farm through the woods at 4115 Garrett Drive. We hate to be sticklers, but coordinating individualized, changing pick-up locations becomes difficult for our staff to manage in addition to our regular production, harvesting, and delivery responsibilities. We thank you for your understanding. We never want cost to be a deterrent for potential CSA members. If you would like to join, but need to pay in installments choose the DEPOSIT option and pay just $50 upfront! Members can then set up a payment plan they feel comfortable paying.